Swimmer Maarten van der Weijden has raised €2.5m for cancer research with his attempt to swim the 200 kilometre Elftstedentocht route, despite being unable to finish. The former Olympic open water champion pulled out of the swim on Monday on doctors orders after completing 163 kilometres in 55 hours. 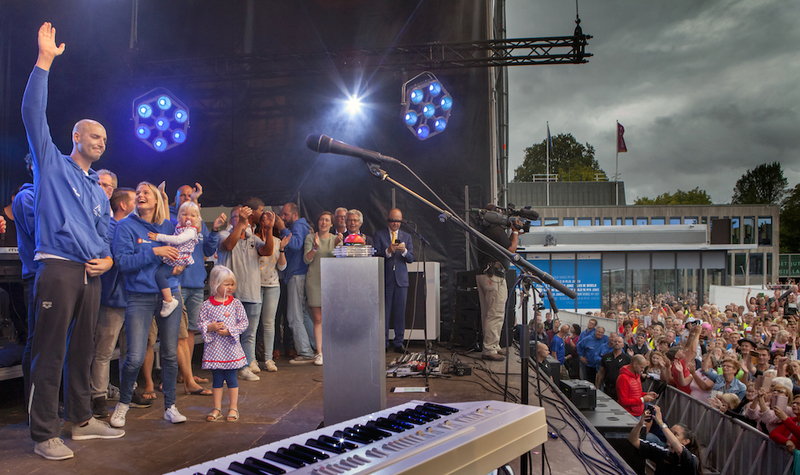 Despite not managing to complete the ‘race of all races’, Ven der Weijden was presented with a special version of the Elfstedentocht medal by the prime minister. The medal is traditionally awarded to everyone who completes the race on ice.